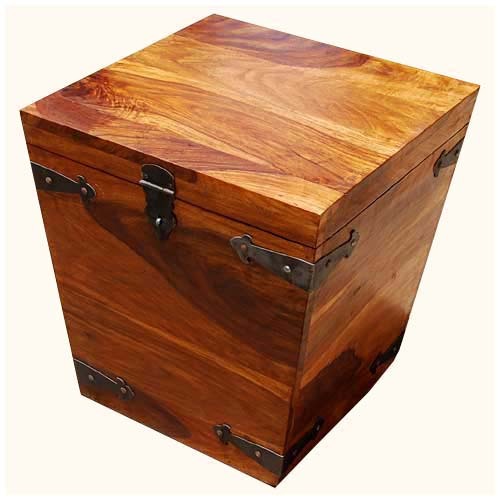 Decorating with a beautiful trunk is a creative way to add extra storage to your home. 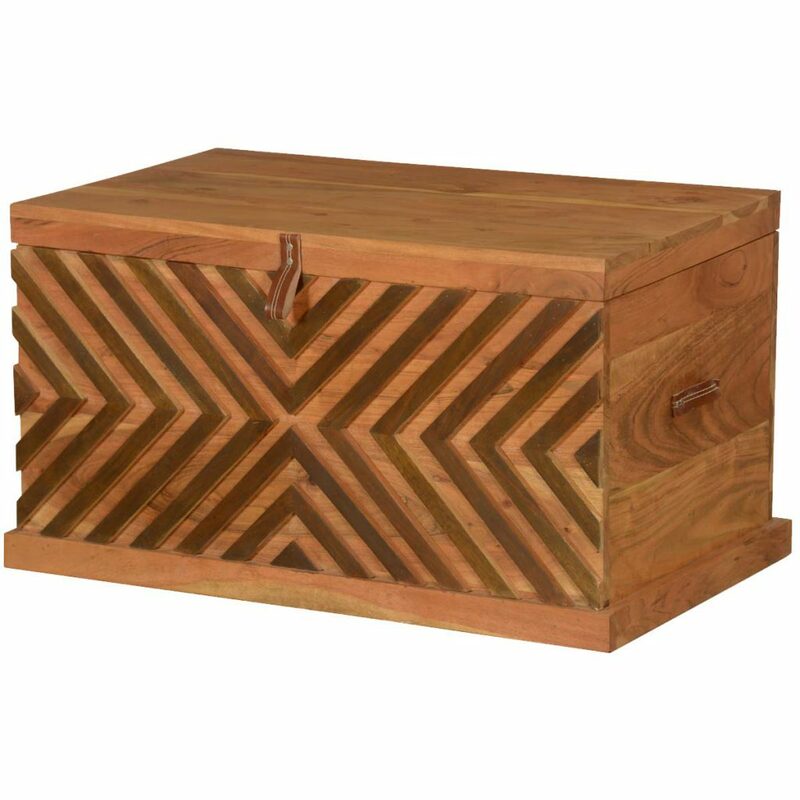 Using a storage coffee table trunk instead of a cocktail table or nightstand changes the entire look of a room. 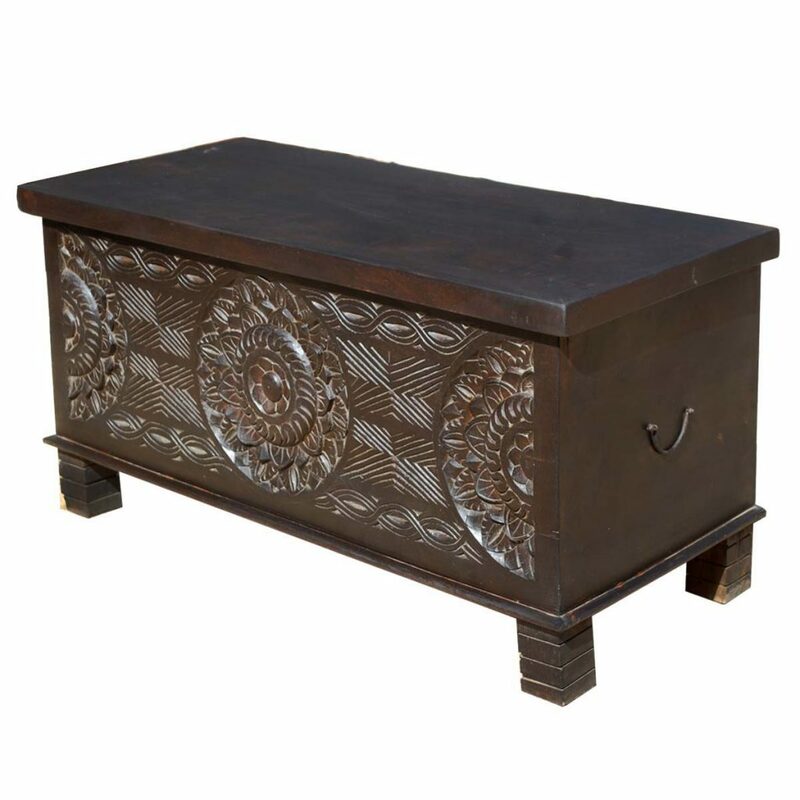 Coffee Table Trunks come in an amazing range of styles - from rustic, primitive blanket chests, to beautifully carved Asian designs, and everything in between. 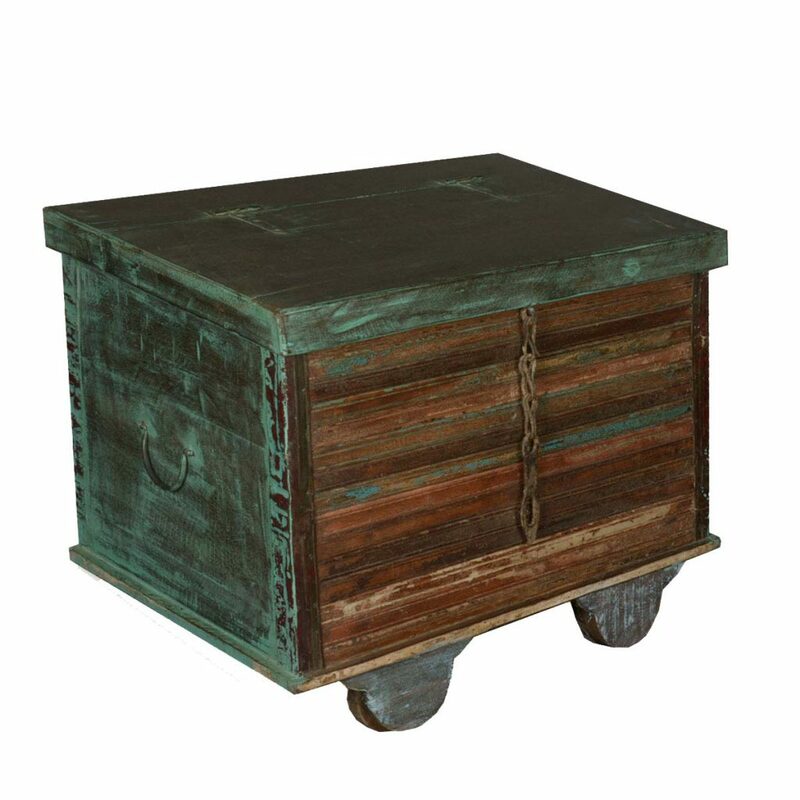 They fit beautifully in Farmhouse and Industrial interior design, and add global-inspired flair to a traditional home. 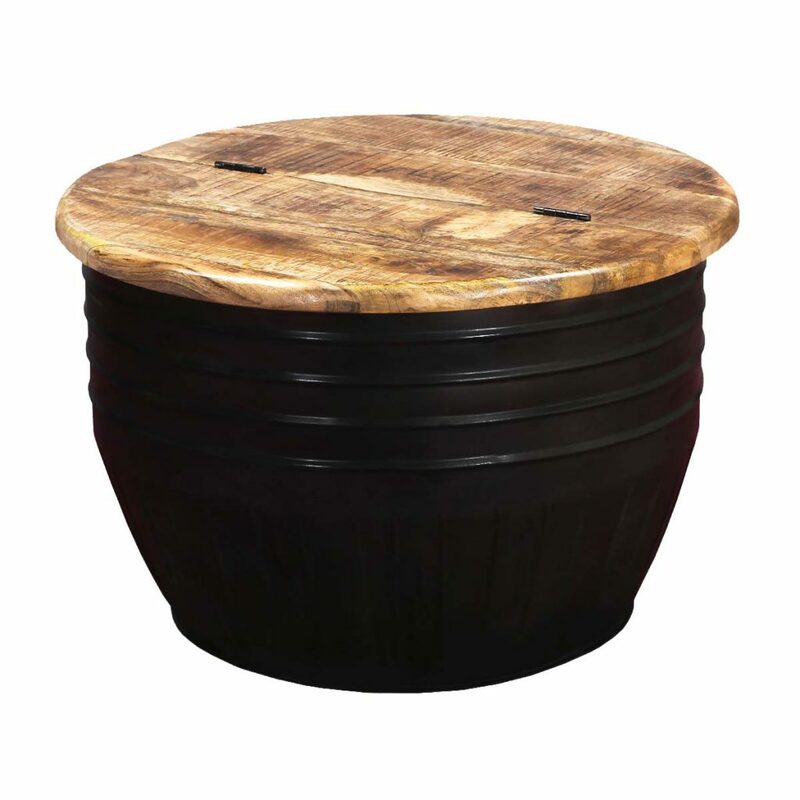 Trunks make sturdy, practical tables. 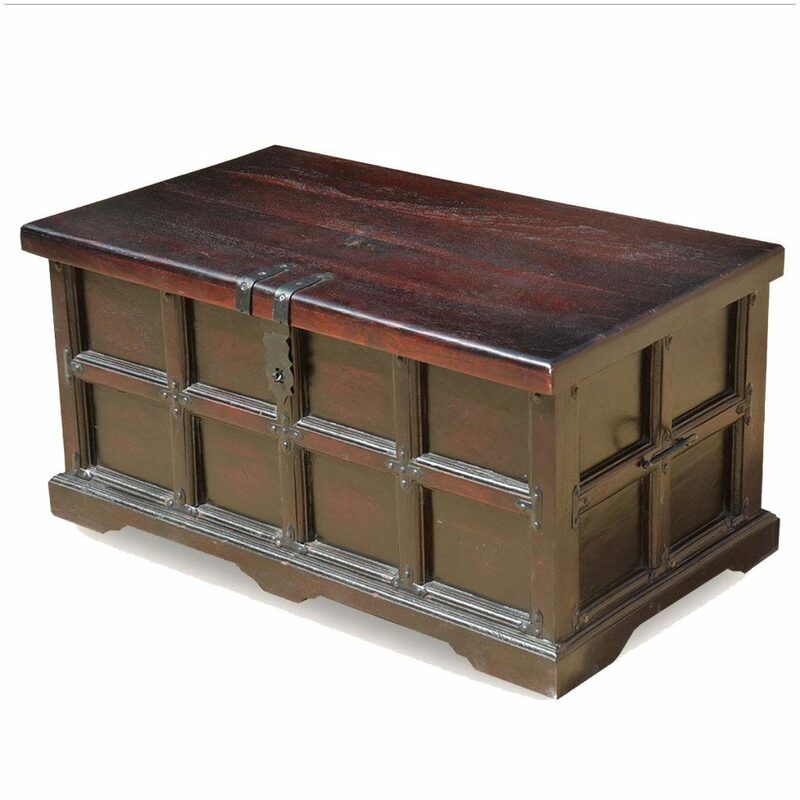 Use a trunk to replace a coffee or cocktail table - a rustic or industrial style trunk will stand up to people propping their feet up, playing games, and serving food and drink. 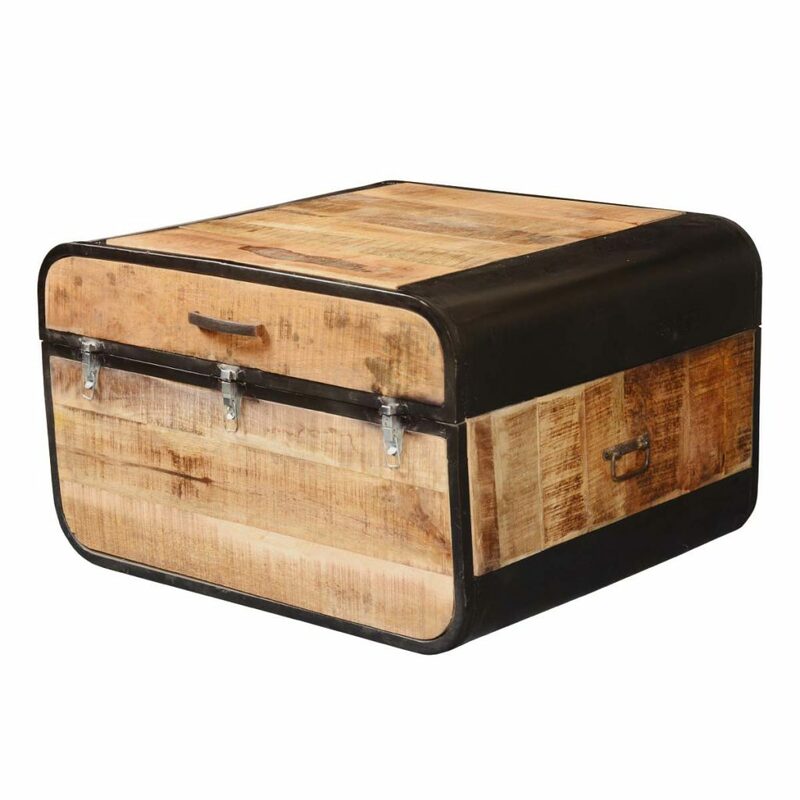 If your trunk is vintage or rustic looking, any scuffs or scratches added by the family will just give it more character.Most trunks are rectangular, and a bit smaller than a cocktail table, so they save space in front of a sofa. A taller style is nice for serving snacks or working on a laptop. 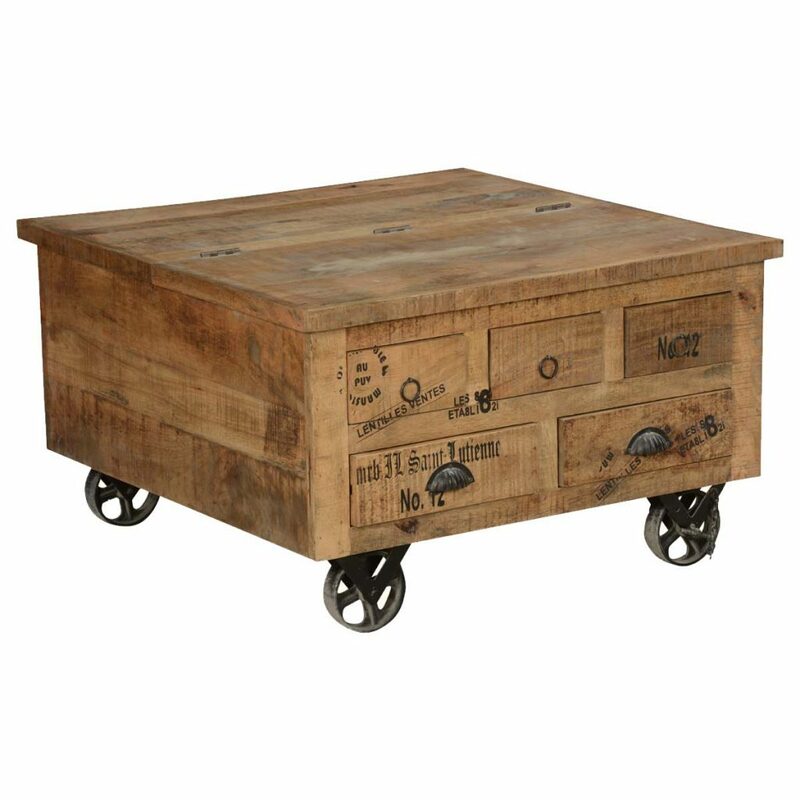 An industrial style with wheels lets you move the coffee table easily out of the way for games or cleaning. 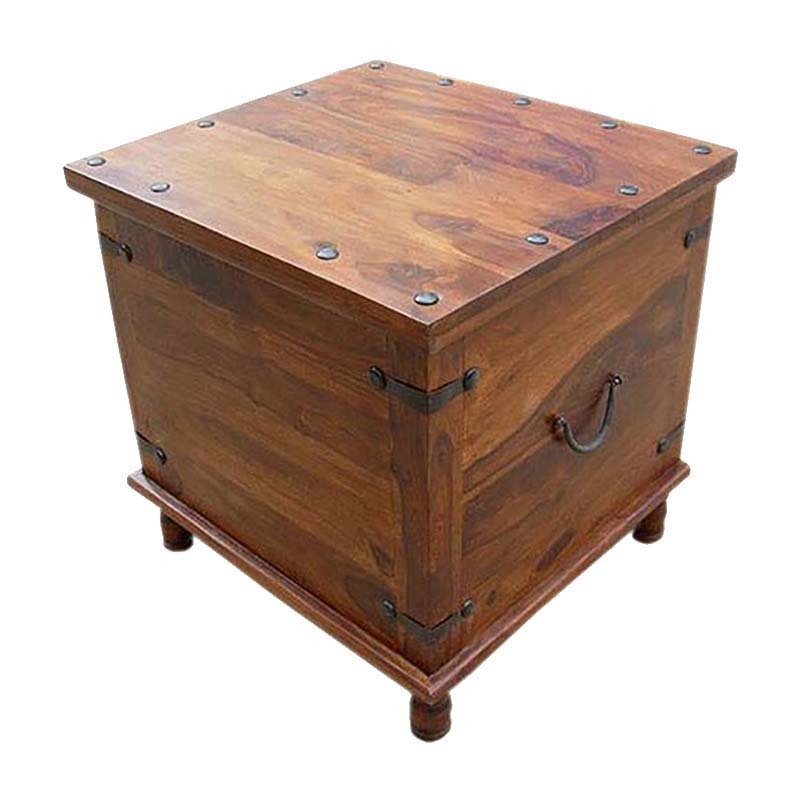 Or if you have small children, a trunk is the perfect place to hide toddler toys when the adults come over. 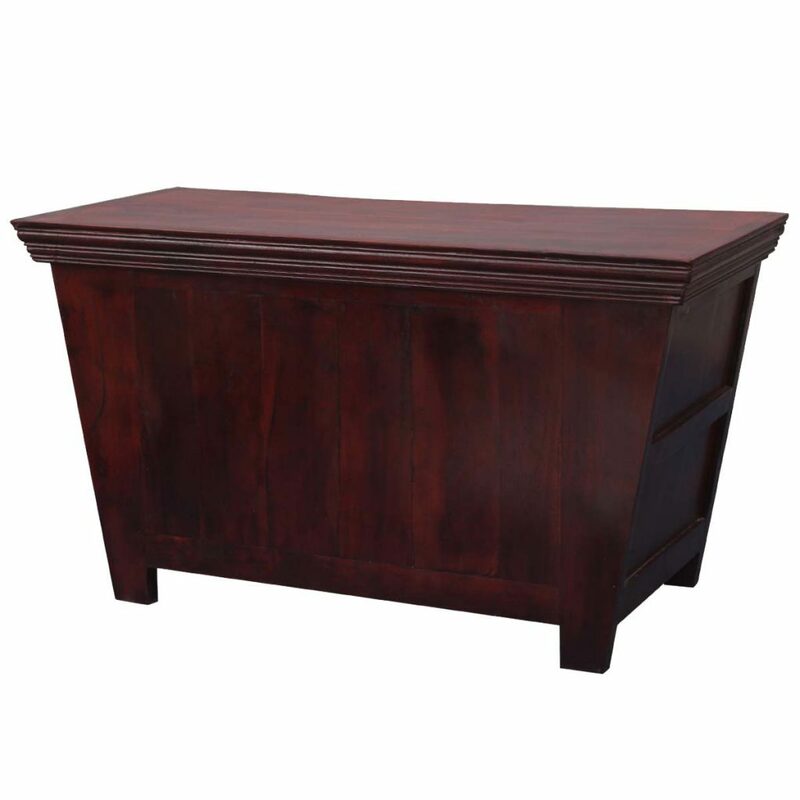 When you're living in an apartment or small space, you'll love the extra storage a trunk provides. 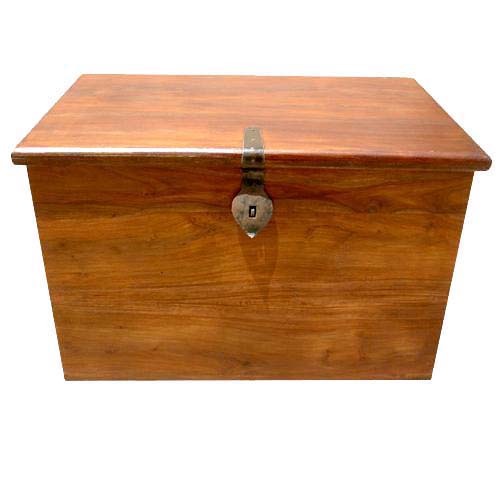 Choose a long, narrow style to hold your record collection, extra linens, old photo albums, or anything else it's hard to store in a small space. 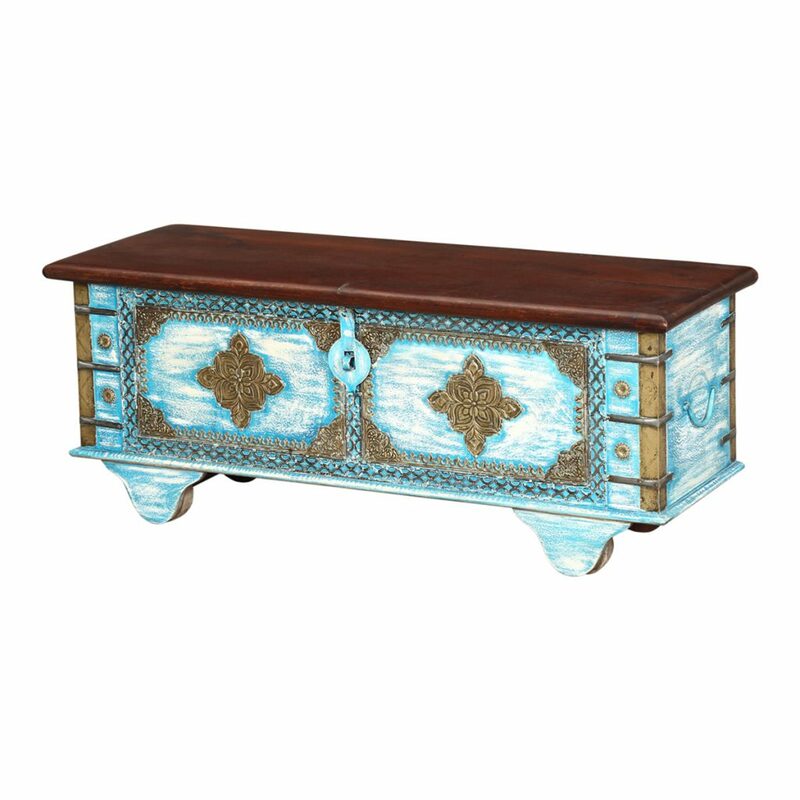 You may not immediately think of using a trunk to replace an end table, but interior designers do it all the time. 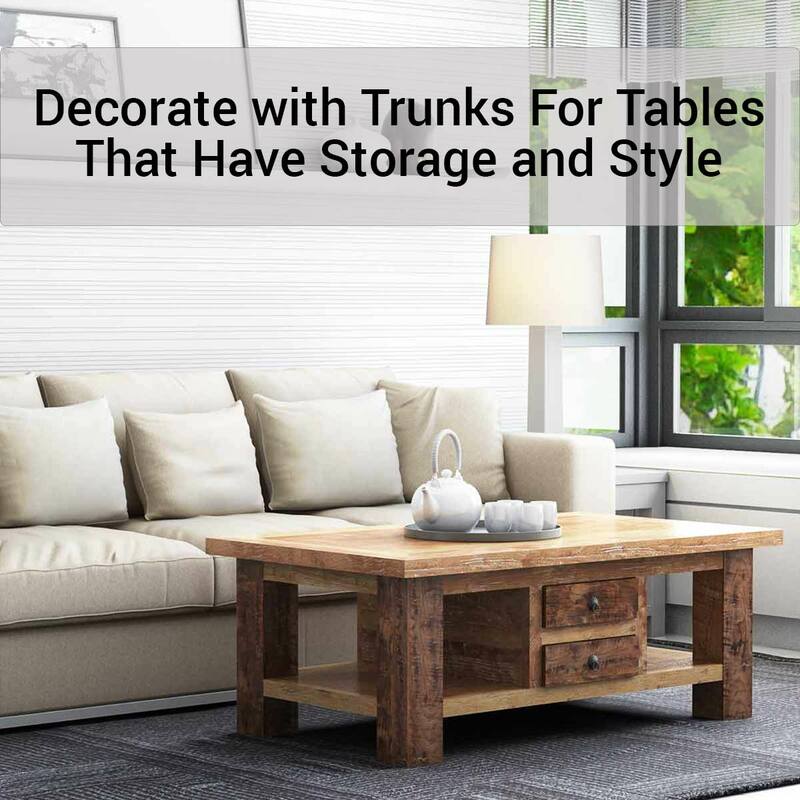 Trunks add a lot of character and interest to a room, and can help anchor the furniture in a large space. Some of them are sized just right to sit along the arm of a sofa. 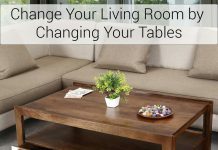 What if your interior design style isn't Rustic, Industrial, or Farmhouse? 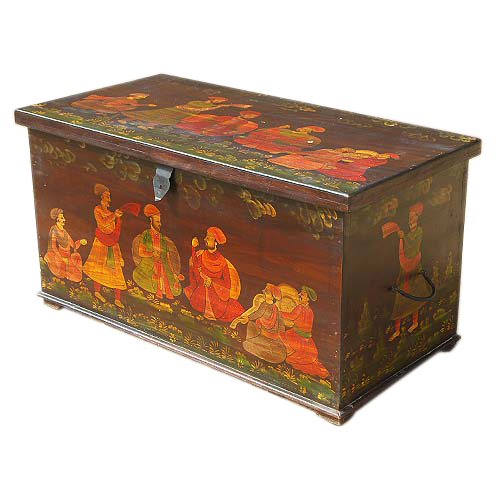 What if your style is Traditional? 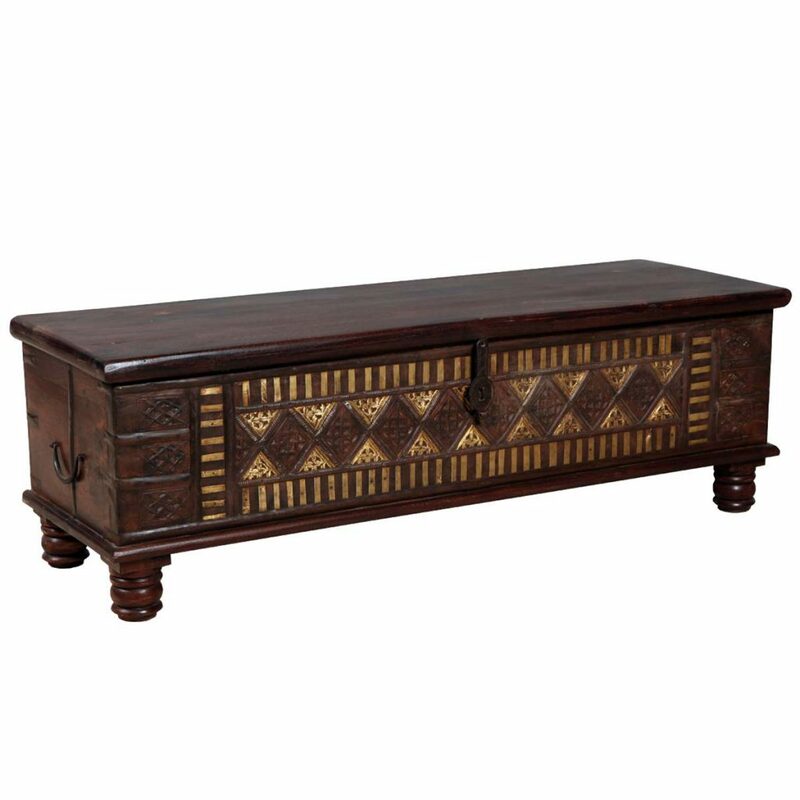 Traditional interiors are influenced by English country house style. 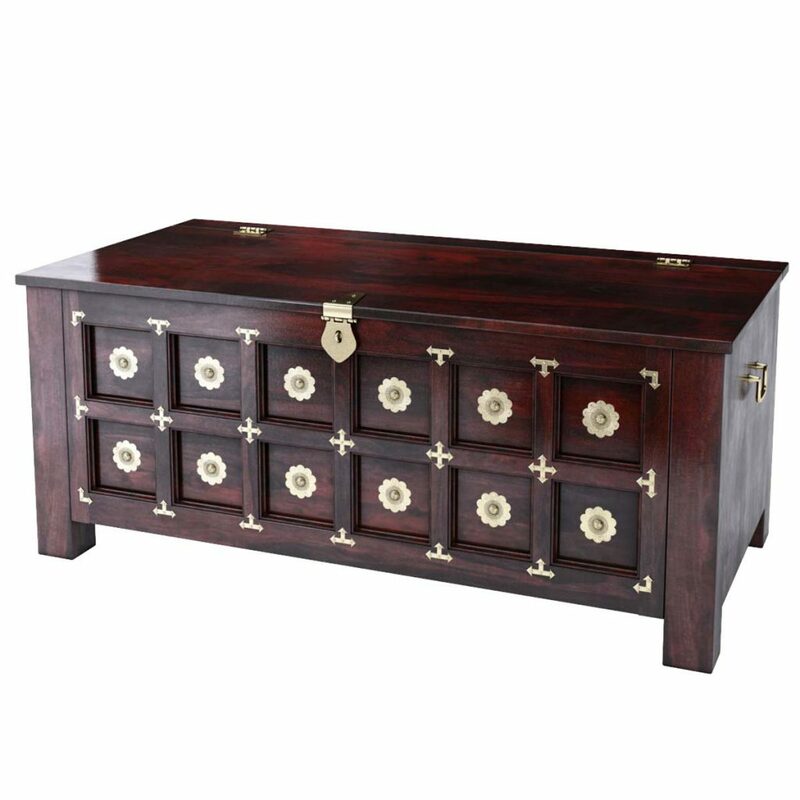 The English traveled the globe for centuries, bringing back treasures for all over. 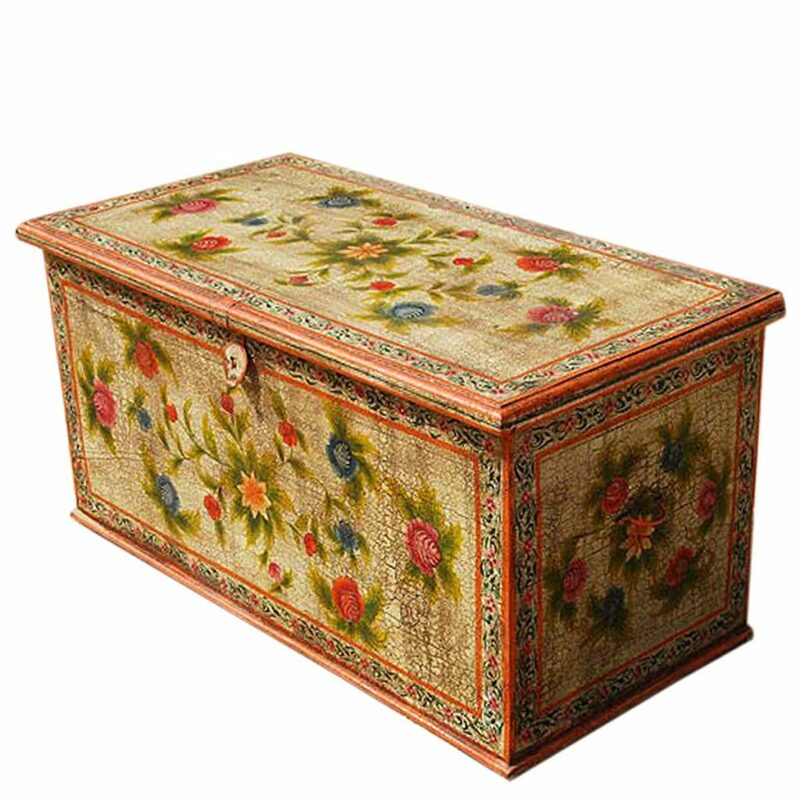 So an Asian style trunk, or one hand painted with flowers, heavily carved or showing an Indian influence, looks surprisingly at home in a Traditional room. 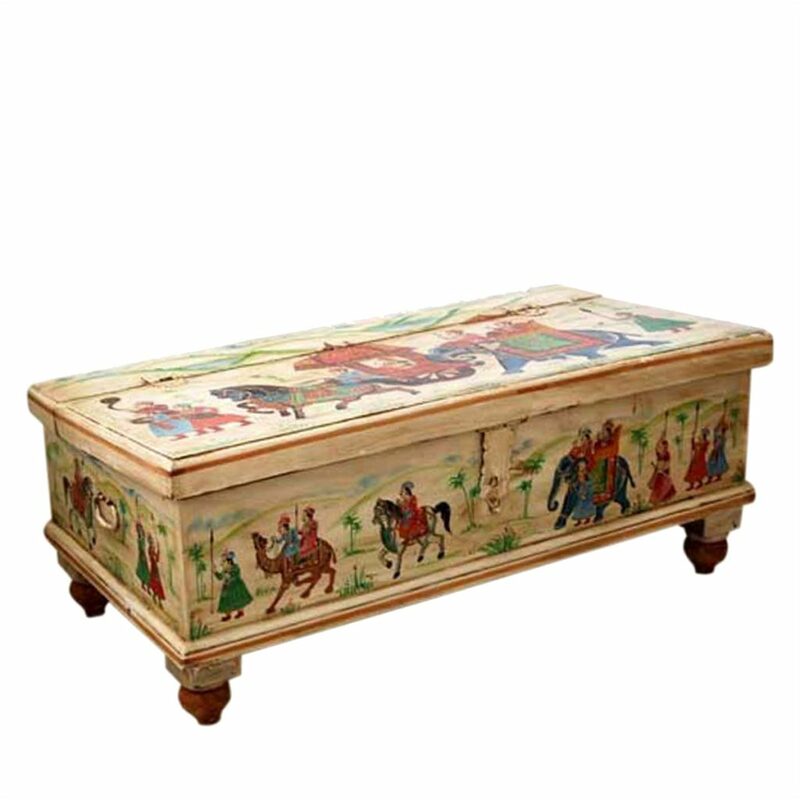 Add some color to a comfortable, Traditional living room with a trunk that's painted with historic or exotic scenes: Painted trunks can act as a showpiece in your room. 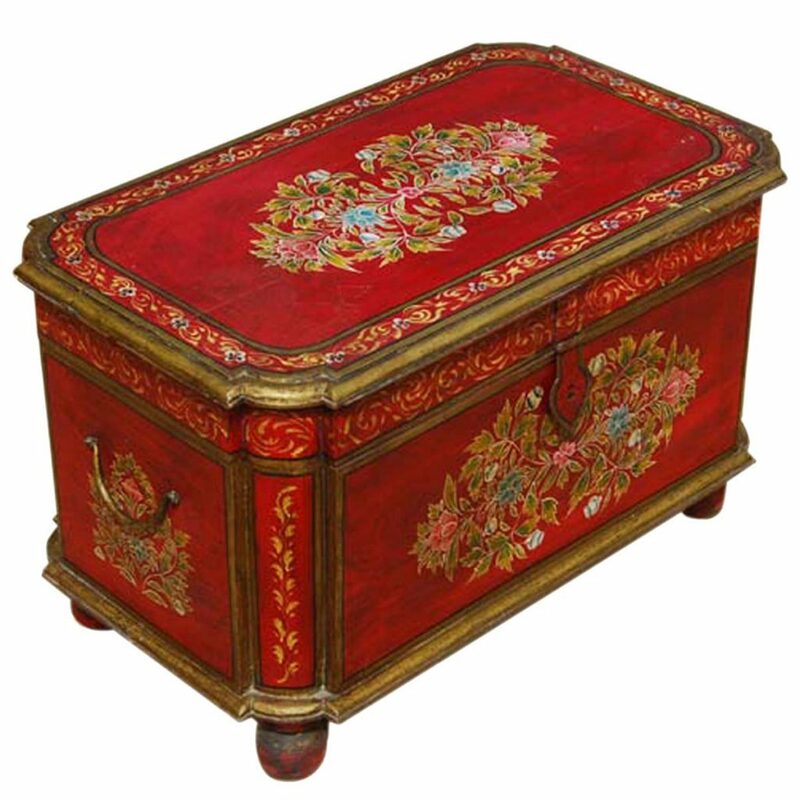 If your sofa has its back to the front door, consider using a beautiful painted trunk behind the sofa as a table. 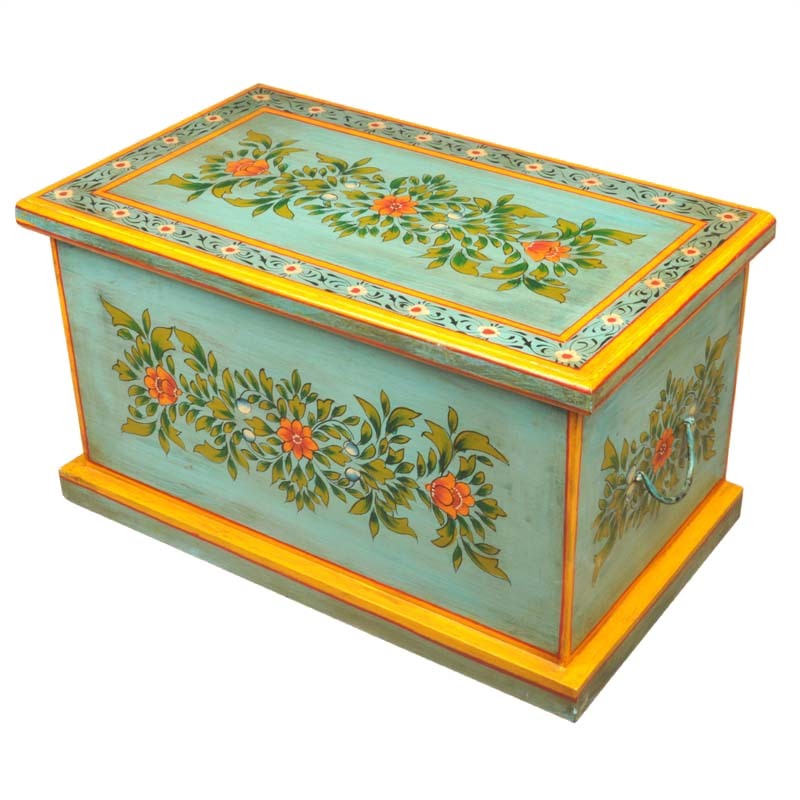 The painted front will greet visitors when they come in the front door, and add a lot of color and character to your home. 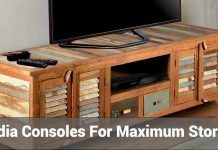 Sometimes you'll have space along a wall that seems to need a piece of furniture - but a table or console just doesn't look right. 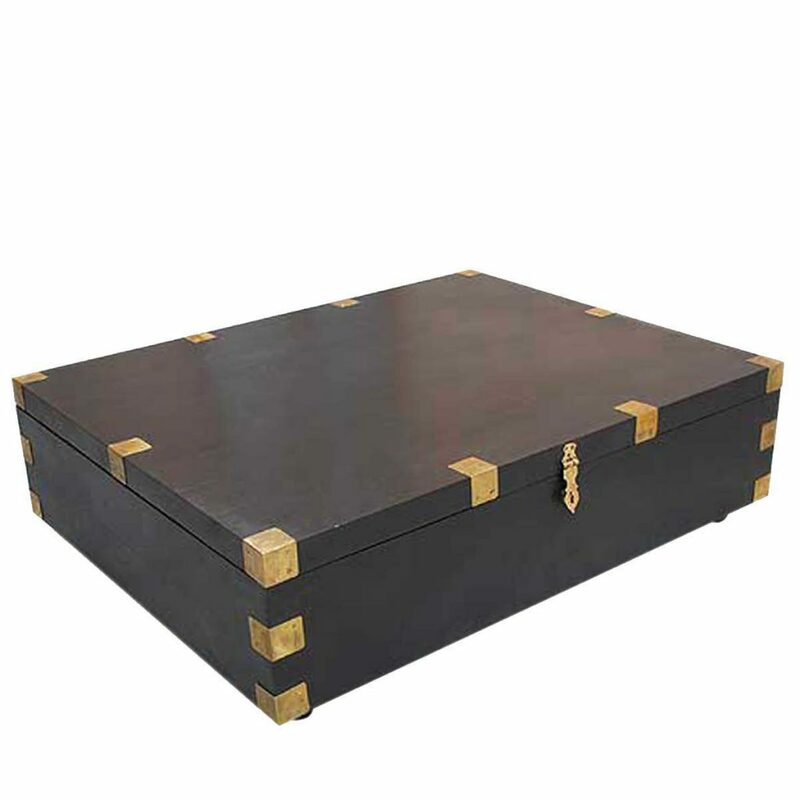 An interesting trunk can stand alone in an entry, or under a painting, to anchor a space and make a bold statement. 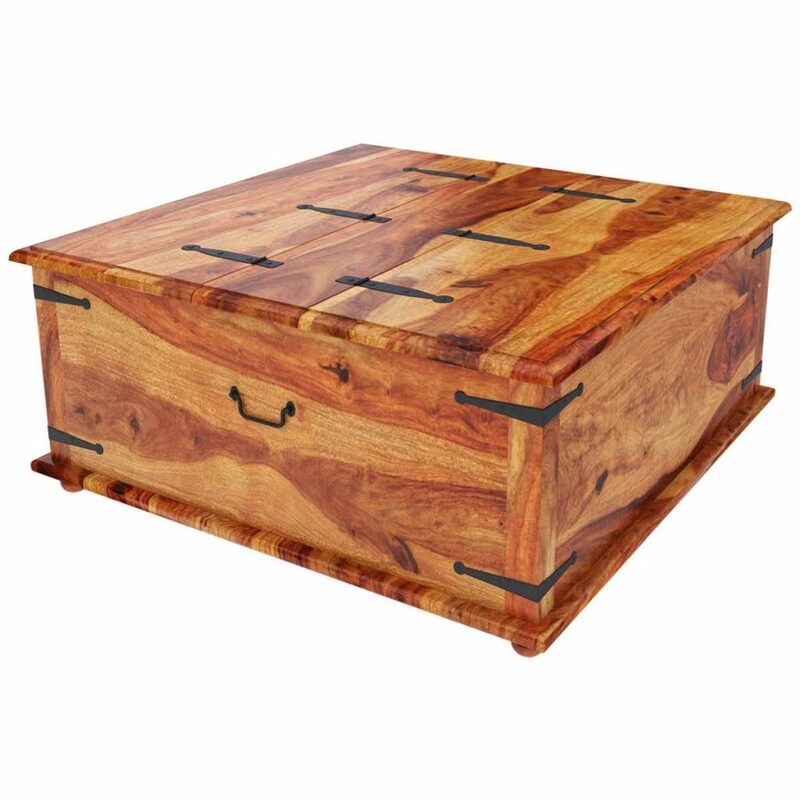 Next time you're looking for the perfect table to fill a spot, consider using a trunk - every home could use more storage, and a beautiful trunk makes a great conversation piece.